A parolee who allegedly fled a traffic stop on Shelter Island and led officers on a pursuit that ended in Barrio Logan when police shot tear gas into his disabled car pleaded not guilty Thursday to charges of assault with a deadly weapon and evading arrest with reckless driving. Andrew Dwight Sigsbee, 32, was ordered held on $150,000 bail. San Diego Harbor Police personnel spotted Sigsbee driving erratically near America’s Cup Harbor shortly after 5:30 a.m. Tuesday and tried to pull him over, according to the port law enforcement agency. 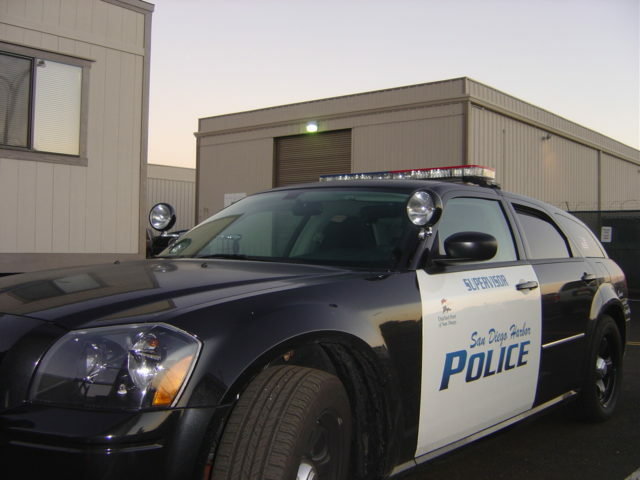 The chase, during which Sigsbee’s car collided with a Harbor Police patrol vehicle, ended in the 1200 block of Harbor Drive, near Waterfront Park, after the sedan ran over spike strips laid out in the roadway by San Diego police. Sigsbee initially ignored officers’ commands to surrender, resulting in a brief standoff. After SDPD officers shot pepper-spray projectiles into his sedan, he exited the car and surrendered. Sigsbee faces eight years and eight months in prison if convicted, Deputy District Attorney Michael Reilly said. Judge Maureen Hallahan scheduled an Oct. 16 readiness conference and an Oct. 18 preliminary hearing for the defendant.